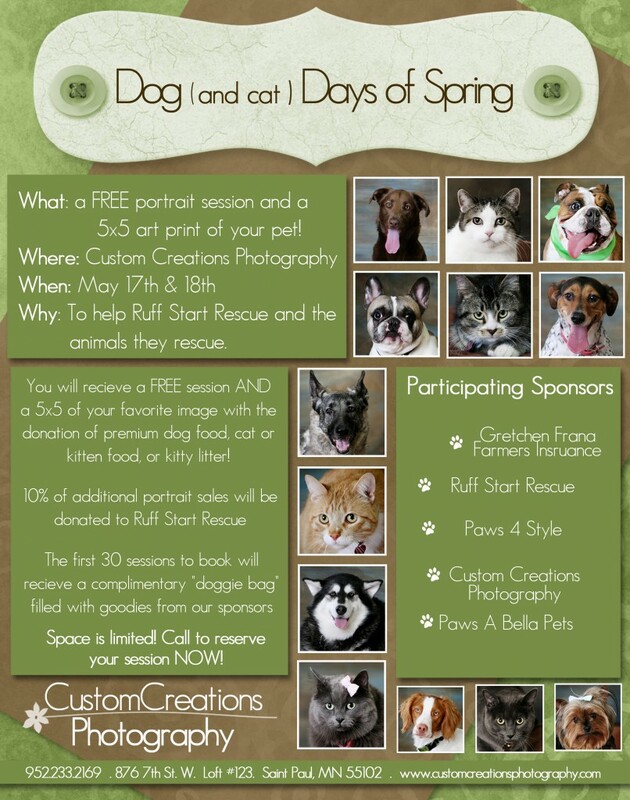 We will be holding our annual Dog Days of Spring fundraiser for Ruff Start Rescue on the weekend of May 17 & 18. Receive a FREE session of your pet plus a 5×5 art print with the donation of dog food or kitty litter (they have a great wish list on Amazon that can drop ship directly to their facility!) You may bring more than one pet, however, only one free print per household/family. In addition, 10% of any additional portrait sales will be donated to Ruff Start. The first 30 sessions to book will also receive a “Doggie Bag” filled with swag from our Sponsors!